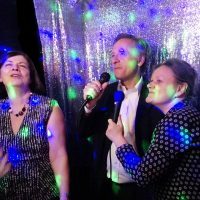 Planning an event in London, the Home Counties or anywhere in the UK? 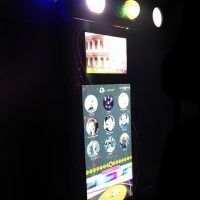 Bar/Batmitzvah, Hen, Wedding, Corporate or Office Party? 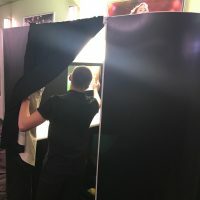 Looking for something other than a photo booth? 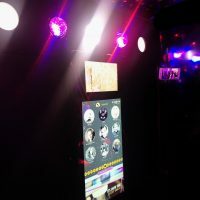 Then our fun Karaoke Booth could be just what you are looking for! 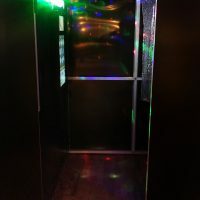 Sing your heart out in this private booth and instantly receive a DVD of your performance. 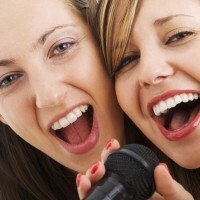 It’s your chance to be a singing sensation. 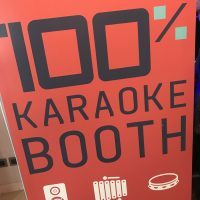 Show it to all your friends (or even a record producer!). 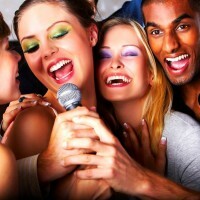 Sing solo or in a group. Dress up with our party props to your favourite songs. 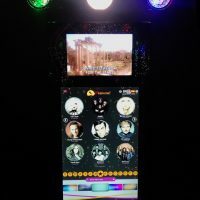 Sing along to a huge selection of song choices from all the decades to current charts including pop, film music, Jewish titles and even Bollywood karaoke. 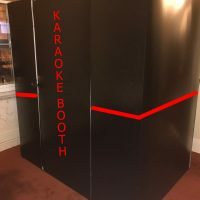 Surprise your friends, family and colleagues with the Karaoke Booth. At first they will be shy, but as soon as they start singing they won’t stop! 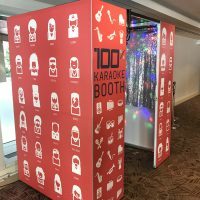 Our range isn’t just limited to karaoke booth hire however. 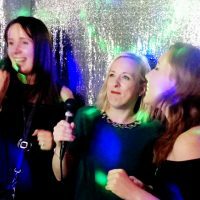 Here at the Pod Group we pride ourselves on providing a variety of unique entertainment ideas for any corporate or private function. 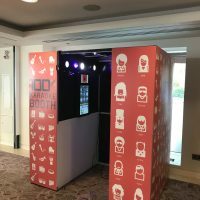 Our Pixpod photo booths will encourage your guests to let their hair down as they dress up in a range of props. 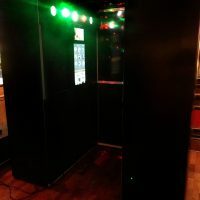 Our Star Pod will get everyone up on their feet to boogie the night away as they won’t be able to resist our fun dancing heads booth. 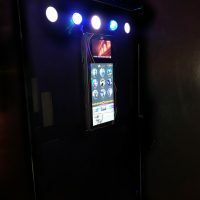 For those who desire a little less action our Sweet Pod not only lets your guests sample a range of treats but it enhances the atmosphere by use of LED lighting. Provide your friends, family or coworkers with a decadent dessert in the form of our Ice Cream Hot Dogs and let them get creative mixing two iconic party foods to create the ultimate treat. 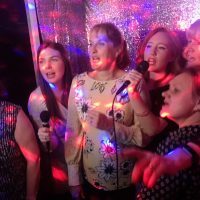 If you would like to explore more of our fantastic entertainment ideas, just click on one of the links at the bottom of this page. 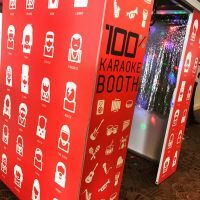 Whether you need karaoke booth hire in London or much further afield we can help you plan an unforgettable night. 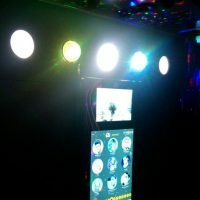 While we are based in the capital, we are happy to bring our innovative entertainment right to your doorstep, letting you provide your guests with the very best in party entertainment with minimum effort. 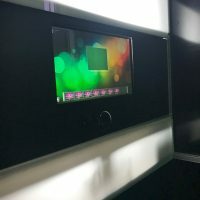 There’s only one problem – we are providing such a unique entertainment service that many of our features get booked up pretty quickly! 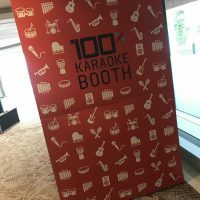 Whether you want to opt for karaoke booth hire or even a video booth hire, we advise you to book as early as possible to ensure we can make your event truly unforgettable, wherever it is and whatever it is for. 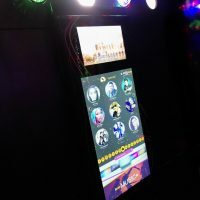 Are you ready to book one of our party games or machines, or do you want to find out more information about the service we provide? 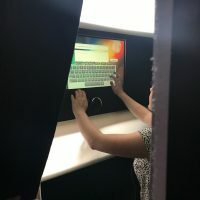 You can get in touch with our friendly team by visiting our contact page or by completing the form at the bottom of this page. We look forward to hearing from you. 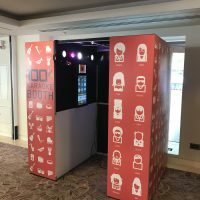 Either booths can be branded with your own identity or corporate logo including the exterior, interior, backdrop and DVD’s.